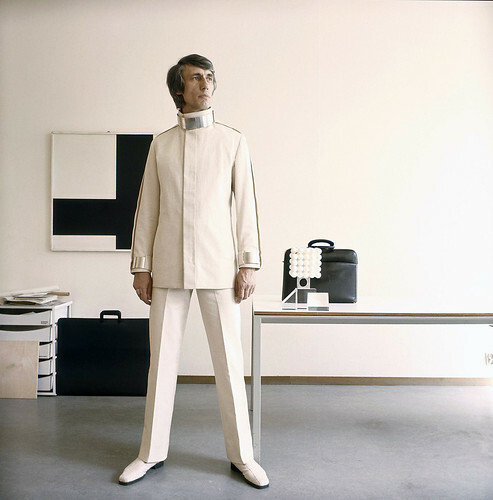 The silvered entrance area displays a 1969 image of Crouwel dressed like an orbiting business-class traveller from 2001: A Space Odyssey . 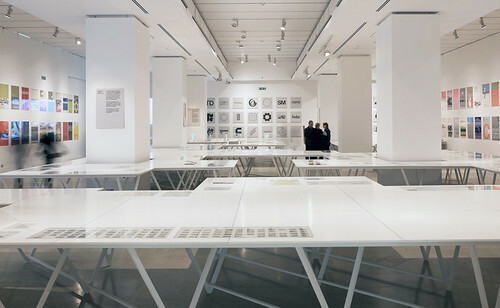 The main exhibition space, however, with its open, white, horizontal and vertical display surfaces relieved by a single angled table and clear vitrines, proposes ‘neutrality’. Colour is not used for orientation, and the texts are discreet, even hard to read. If designers love the show (and they do) it will be in part for the reassurance it offers in the face of losses brought about by the digitalisation of culture. 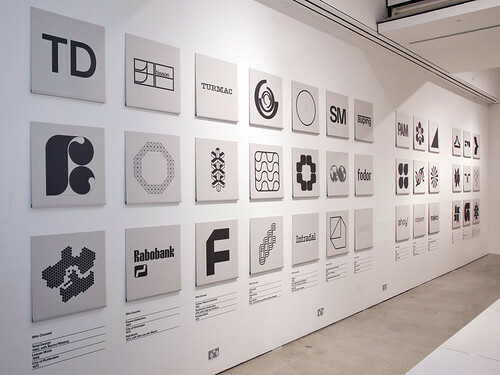 This is not simply a retrospective of one man’s achievements but a journey into a past era of certainty, when graphic design was not anything you want it to be, to be done by anyone; inspiration was tempered by rules and craftsmanship. 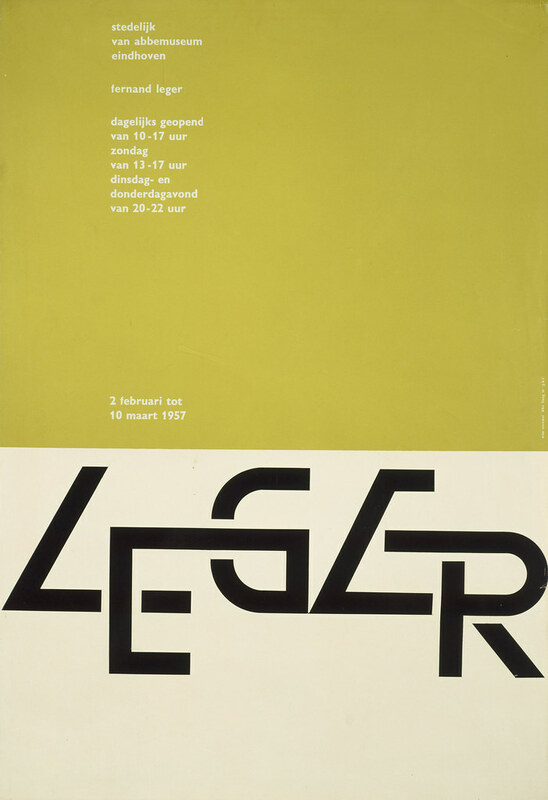 In plotting the career of an expressionist painter who, inspired by the Swiss school of typography, made form-making based on geometric order the face of Dutch design, the exhibition is as much about postwar Modernism in Western Europe as it is about the designer himself. 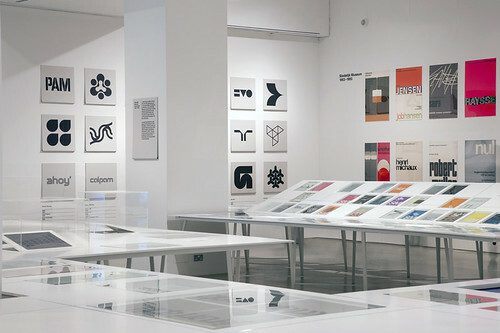 Crouwel’s output is arranged roughly chronologically and simultaneously around the spheres of his activities, beginning with his youthful interest in architectural forms (1928-49); followed by his initiation into the profession through exhibition design, catalogues and posters for Eindhoven’s Van Abbemuseum in the 1950s; to the founding of Total Design in 1963, which was to establish the principles of systemised corporate identities. There is also the grid-based methodology established for the communications of Amsterdam’s Stedelijk museum, as well as experimental and personal work up to the 1980s. 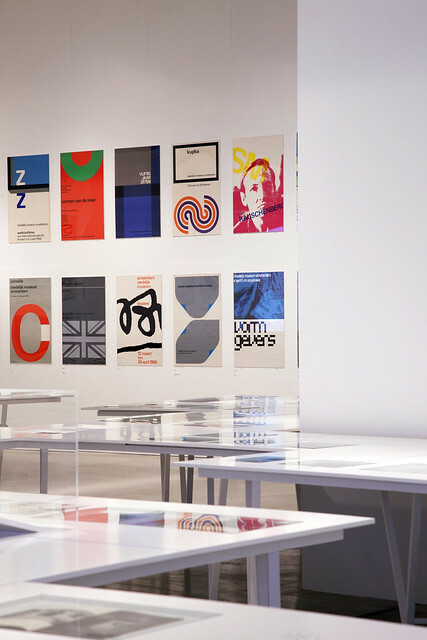 A section on his legacy shows how his influence carried well beyond Holland to inspire younger designers, such as 8vo, Experimental Jetset and Bibliothèque. 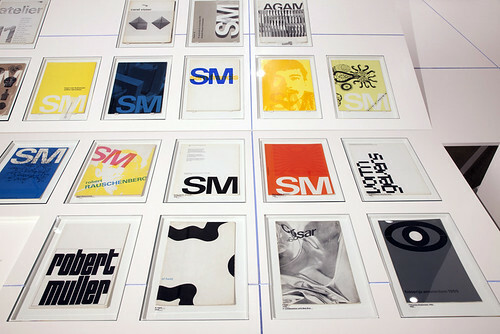 Some may argue that this celebration of Crouwel’s oeuvre is not the place for a pedagogical excursion. 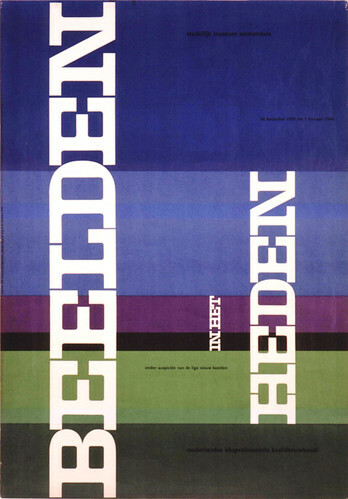 However, as the St Bride conference ‘Graphic Design: History in the Making’ made clear (see ‘Look behind you’ on the Eye blog), there does not seem to be any particular place in which the historical significance of the graphic design profession is explored. While long contextual texts may be unwieldy within an exhibition and at best may be assigned to the catalogue, there is also a role for the design together with the text within the exhibition itself as an interpretive act. It is often argued that ‘the work should speak for itself’, hence the tenacity of the ‘white cube’ format. At the St Bride event, Rick Poynor suggested that while the process of curating is analogous to editing, the role of exhibition design might be just to create a mood. As for my mood, I was left slightly depressed by the Crouwel show. The display (by 6A Architects) seems almost cowed by the content, which delights in the dynamic between system and experimentation with form and colour. Exhibition design need not be a question of degree but of intention – the V&A’s South African photography show (‘Figures & Fictions’, 12 April > 17 July 2011) does more than create mood: using the subtlest of means it transports ideas about the historical context. See ‘Modern method’, Kerry William Purcell’s article about Wim Crouwel in Eye 79.